Natural experience and trials all give us opportunities to develop the character of deity within ourselves, to experience a change of mind, and to gain greater insights into our reality. 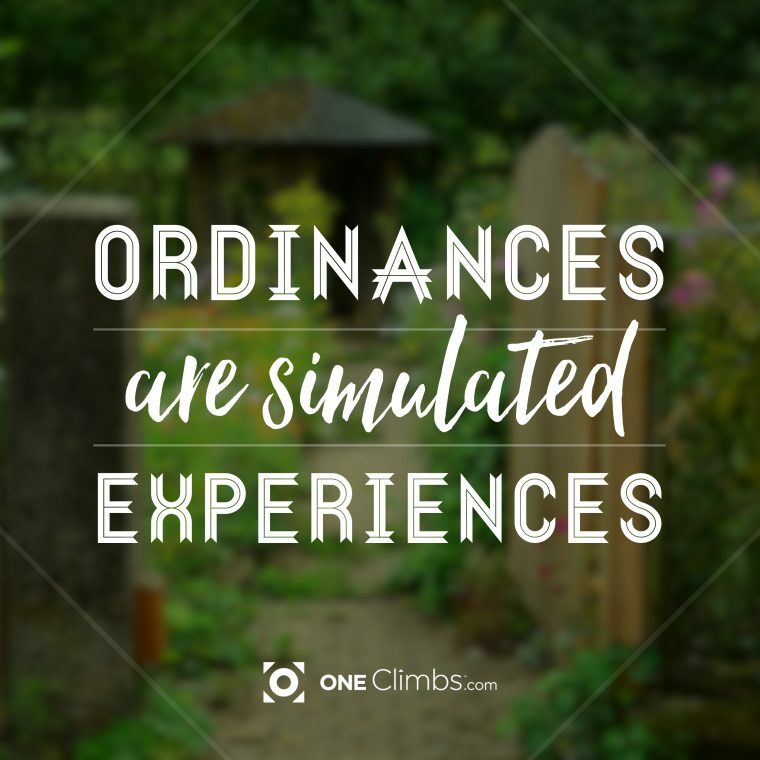 While each of us may not experience the same things in life, ordinances provide simulated experiences that are designed to point us to a common destination; to prepare us for future realities that the ordinances only symbolize. We are thus symbolically reborn, recreated, resurrected, washed, anointed, cast out of Eden, instructed by heavenly messengers, and sealed to one another. We are given a chance to experience a small taste of specific, unique experiences that are critical to our progression. In this light, it makes perfect sense to speak of baptism, for instance, as a “gate by which [we] should enter” (2 Nephi 31:17). I also believe and think it’s interesting that Ordinances are like a sword in our quest to defeat Satan. Each time a gospel ordinance is performed by the proper authority, we crush Satan. It’s the opposite of what Satan seeks to do to us. In a very deep way, gospel ordinances are to God what temptation is to the evil one.